Until Marksburg can fulfill every facet of its purpose as a bridge between the two realms… this old fogey will still have work to do. Rowen is now the prime minister of Rieze Maxia, working alongside Gaius to build a prosperous kingdom and forge good relations with Elympios. He joins Ludger's quest after a shadowy version of Rowen from a fractured dimension attacks the party because he wants to learn more about this phenomenon. 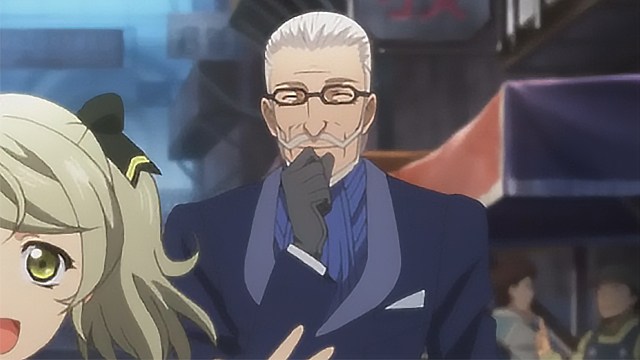 Like his role in Tales of Xillia 2, Rowen is an older mentor to the party. He enjoys good-humored teasing of the younger party members as well as quizzing them so that they do not fall behind in their studies. Rowen's character chapters are largely based on his desire to leave a lasting legacy.